The school summer holidays have finally began and luckily the sun is shining so there's plenty for parents to do to keep their children occupied this week, such as picnics and trips to the beach. 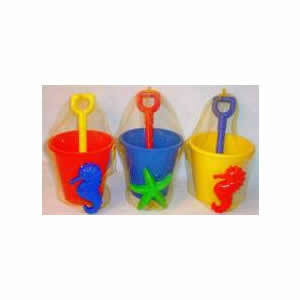 I've had a couple people in this morning buying things to take to the beach such as Foam Footballs and of course, Bucket and Spade Sets. There are plenty of things going on in and around Totnes this week. Learn to surf with Discovery Surf School at Bigbury on sea - a 2 hour surfing lesson for £19. There's a Kids Creative Workshop at Berry Head's Artillery Store. Make mini sculptures and objects inspired by Berry Head's nature. 11am - 3pm £1 per child suggested donation. It's Stoke Gabriel Carnival Week from Saturday 28th July with a Stokes got Talent Kids Show. Stoke Gabriel Village Hall 7.00pm. Admission £3.00 adults £1.00 children.